Incumbent is to diagnose, service and repair of Energyst Fleet and installation and similar equipment (in the depot and/or on customer’s site) to the highest standard guaranteeing customer satisfaction. 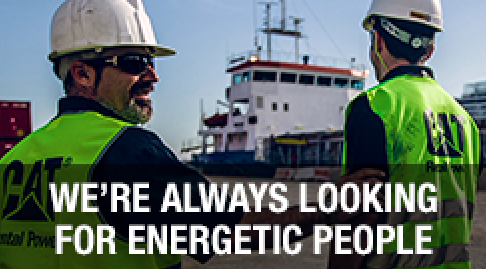 Working for Energyst means being part of a team of dedicated professionals in every aspect of our business. It’s an exciting position with contacts in various segments within a strong brand name: Caterpillar. You will be part of an enthusiastic and experienced team. You will be a part of the Dutch team of ca. 30 colleagues. You will get broad personal development opportunities. We offer a competitive salary and benefit package and a company car can be part of this package. Please send your CV and cover letter to recruitment@energyst.com.